Routing out my travel essentials with just one week to go until I'm being whisked off to a mystery location for birthday celebrations. While I'm so excited about finding out where I'm going next weekend, the mystery of it means a little extra planning when deciding what to pack. I need to have a practical wardrobe that says to my boyfriend 'natural traveller' and 'never mind those chic European beauties, check out your Northern travel companion.' It also needs to fit into hand luggage. Deciding what to take and what to leave behind isn't straightforward. I'm very lucky to have a boyfriend who I rarely disagree with (I'm not meaning to turn any stomachs but it's true, after an unquantified amount of 'frogs' I have found a nice guy) BUT when it comes to a certain few beloved items in my wardrobe there is a definite divide. These are the clothes I love but my boyfriend hates. CHUNKY SANDALS - I have to admit when I bought these from Topshop I was pretty pleased with myself, fashionable and so comfortable, but when I wore them on one of our early dates I did clock him trying not to stare at my feet a couple of times. 19 months in when I asked him, he confessed he hates them. It's the buckles, all 12 of them that he has a problem with. They are quite a heavy shoe and the thud when I walk combined with the jangling of the buckles doesn't help my argument that they are a great find. DOUBLE NECKLACES - I don't like to wear just one necklace. I layer gold necklaces over a simple top, mixing delicate chains with chunky bolder ones. No awards for originality when the Mr.T impression came out, "I pity the fool who wears all that gold." LONG SKIRTS - I have a couple of ankle length skirts from American Apparel and I love them. Worn with a cropped top they are so comfortable and easy to wear. They may have been likened to curtains but I resist the urge to snap back "pull yourself together" and swish out of the room. 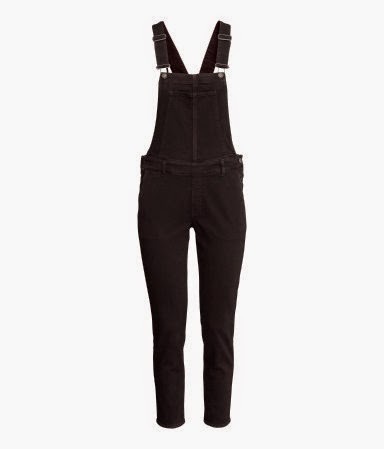 DUNGAREES - Yet to own some but I'm off this Saturday to buy a black pair after deliberating for far too long if I should. I can't wait! I'm fully prepared for the backlash. In his mind dungarees only come in white and are issued to the staff at B&Q. I will be packing these items. Well except for the sandals. I haven't admitted it yet but he might be right about those. I wore them to meet friends in my local pub and two strangers stared at them as I walked in. Not in a good way. Sandals aside, I'm standing firm over my other items. I may have just missed International Women's Day for this year but the spirit of empowerment still lives on ...I can wear long floaty skirts and every piece of jewellery I own if I damn well fancy it. "Now take me away for the weekend... oh and do I look all-right?"